The PCE-VT 1100 vibration analyser is designed for the preventive or rather precautionary maintenance of production machines. 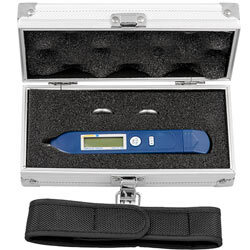 The vibration analyser is established for quick measurements of an imbalance and the examination of bearings and gears. It also is frequently used to evaluate the state of small electronic motors. 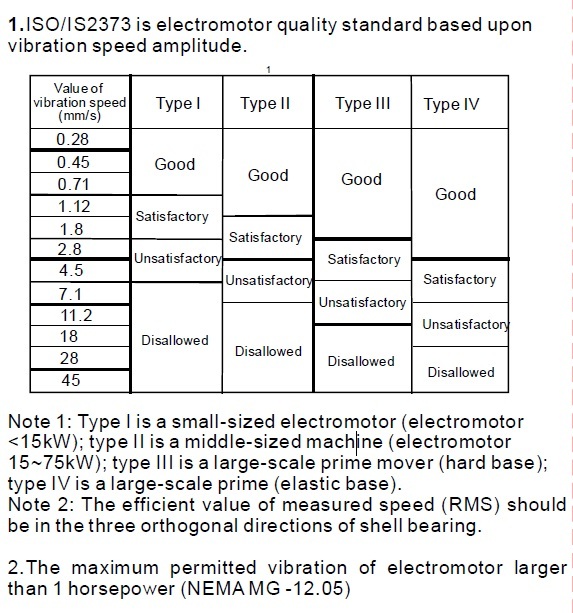 In the following section, you will find classifications of the values obtained with the vibration analyser. If there are any questions about this vibration analyser PCE-VT1100, please have a look at the technical specification below or call: UK customers +44(0) 23 809 870 30 / US customers +1-410-387-7703. Our engineers and technicians will gladly advise you regarding the vibration meters or any other products in terms of regulation and control, or scales and balances of PCE Instruments. 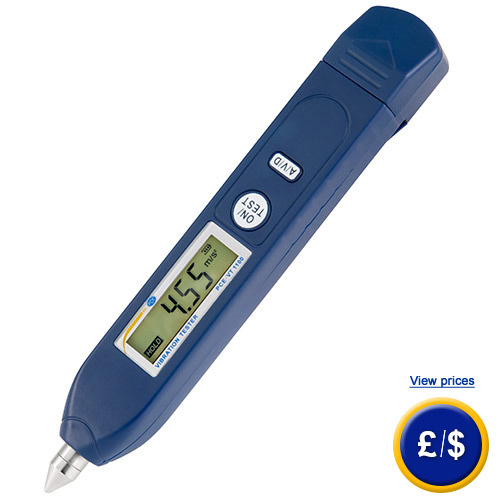 - keeps the value after every measurement. - automatic shut-down after 20 sec. in Turkish in Polish in Russian in Dutch in Portuguese in Portuguese .